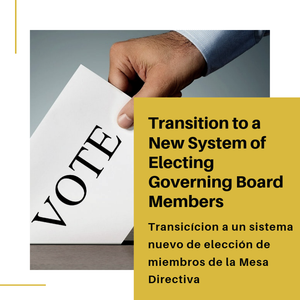 South Whittier School District held their second public hearing regarding the process of transitioning the method by which Governing Board members are elected. This was the second and final public hearing before trustee area maps are being created. The district and community were able to hear from Jonathan Salt, an attorney specializing in the California Voting Rights Act (CVRA) and Larry Ferchaw, a demographer from Cooperative Strategies, who shared important information regarding the transition. During the presentation the board and community were informed about next steps after pre-map public hearings. Next demographers will use the 2010 Census Data and additional permitted updated data to draw up trustee area maps. The population will be as equal “as is practicable” in alignment with Ed Code section 1002: “…trustee areas shall be as nearly equal in population…”. Lastly, they gave final thoughts to the community sharing that this change does not change school attendance boundaries, does not change how the board is governed, and does not change overall district boundaries. They then shared the three up-coming public hearings regarding the review of draft map options. After the conclusion of the presentation, the public hearing was opened, where members of the community had the opportunity to give their input on this transition. This was the second and last hearing before trustee area maps are drawn up. There will be three more public hearings for the community to review the newly created trustee area maps. Here are the upcoming public hearings regarding the CVRA transition.